Officially, Detroit Edison representatives have said repeatedly that the utility will not put wind turbines where they are not wanted. However, it's not clear exactly what that means. 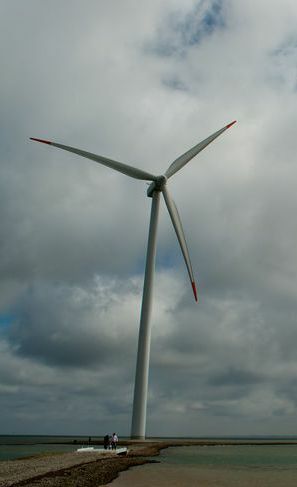 Lake Township, in Huron County, rejected a zoning ordinance that would have allowed wind turbines to operate within township boundaries. The margin wasn't close at 62 to 38 percent. After the election a handful of landowners — most of whom weren't township voters — attempted to circumvent the result by using a Public Act that allows annexation of land with a nearby community. After sparking local outcry, the plan to thwart the election result through annexation failed when the board of nearby Chandler Township voted unanimously not to facilitate the deal. However, the question remains: Would DTE, which says it won't build where windmills are not wanted, have put the wind turbines in if the plan to bypass the election result had succeeded? Chuck Conlen, director of renewable energy for DTE, said he isn't sure. In other words, DTE might, or might not have considered 62 percent of township voters saying "no," as meaning the turbines were "not wanted." "We were disappointed with the result of the township election," Conlen said. "But we were not involved with the annexation effort of the landowners in Lake Township. Broadly speaking, we wouldn't put a wind farm where a community wouldn't want it." Conlen said that if the effort to circumvent the election result in Lake Township through annexation had succeeded, DTE would have had to evaluate the situation. The utility would not have automatically located wind turbines on the newly annexed property. "Look, we don't want unhappy neighbors." Conlen said. "If the annexation had taken place, I couldn't tell you whether we would have put them in or not. I'm really not sure." Lake Township Clerk Valerie McCallum said she couldn't say for certain what DTE would have done if the annexation had cleared the way for the turbines in terms of legality. But, McCallum, who opposes having the turbines in the township, said her impression has been that DTE wants to be allowed to build them almost anywhere. "What I can tell you is that when we originally worked on zoning that would have allowed them (before voters rejected the idea), DTE didn't like the limitations we were talking about," McCallum said. "We were going to limit the height to 275 feet, not allow any to be located within three miles of the shoreline and only allow them on the east side of the township." McCallum said local officials had concerns about turbines being placed too close to recreation areas, a golf course and the shoreline. DTE, she said, seemed less than concerned. "I got the impression that they [DTE] just wanted more places where they could put them, irrespective of things like river corridors and shorelines," McCallum said.